The season is changing. It's bringing all manner of madness to the surface with it. Let's have at least one day to receive a little dollop of poetic love. 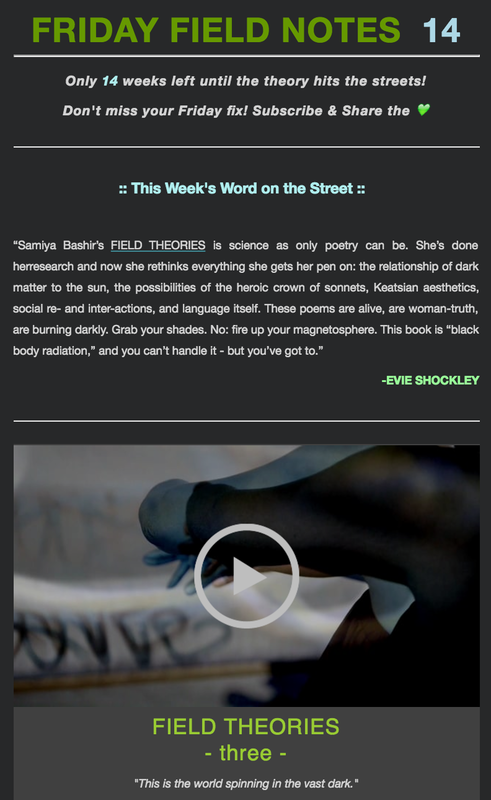 Introducing: Friday Field Notes, a weekly multimedia poetry lovebomb. Sign up in the sidebar to the right, and click through the image below to check out the first issue!